with just flavored Simple Syrup can be equally delicious. Many of you have asked me: “What is simple syrup?” Well, this blog is for you. It’s just as simple as the name implies. It’s basically sugar and water cooked until the sugar is dissolved. You don’t want to overcook it since making the sugar too thick would be harder to get into the cake. There are many recipes for simple syrup and all of them work. The most common one is in the ratio of 1 cup of water to 1 cup of sugar (225 gr) to 1 cup of water (225 gr). Some people make a stronger version by using 2 cups of sugar to 1 cup of water instead. You can always choose what would work best for you. I will write the full recipe in the website. The video tutorial is at the end of this blog. Press here for recipe. adding anything else to the syrup. I can say 1/4 cup to 1/2 cup, but the problem is this amount will vary depending on so many factors. For example, if you use Captain Morgan Rum you probably will need less rum than if you use Bacardi rum because of the extra spices it contains. I like to use Bacardi Rum because it has a very smooth flavor that doesn’t ‘pack a punch’ as you bite in the cake. Then again, some people might want the rum flavor stronger and that is where things are going to change. Each person has his own opinions when it comes to taste, so the best way is to test it and see what you prefer to use with your own cakes. If you decide to try the simple syrup with Rum, try adding first a few tablespoons of the rum and taste it. From there, you can add more rum if you want too. Another great flavor to add is Amaretto. Amaretto is one of those liquors that I usually add by looking at the bottle. Basically, I add the liquor until the syrup starts turning into a brown tint. Rum and Amaretto are the most loved flavors in my business. Even though it’s alcohol, by the time you cut a piece of the cake you will have the flavor but you won’t get drunk from it. It’s just a small amount of alcohol, unless your cake is soaked in it and you made the syrup too strong. Simple syrup is mostly used in sponge cake since that particular cake tends to be on the dry side. The sponge soaks the liquor really nicely. But it can also be used with other types of cakes. Just make sure to test it. For some recipes a little goes a long way. Some people will use simple syrup when a cake didn’t turn out moist, maybe due to overcooking or a bad recipe. You can use it not only to ensure a cake is moist, but to help a cake stay moist for even longer! ‘Strawberries in syrup recipe’, and also concentrated orange juice with great success. makes a lemon cake sooo delicious. Again, there are so many options! You can even add lavender, ginger honey and many other flavors to infuse the syrup. Remember, you can keep your syrup simple with the addition of vanilla, but if you want to compliment the flavors of your cake just add extra flavors to the syrup. Simple syrup is not only used in cakes. Bartenders use it for drinks all the time. For those who will ask: “Can I save the leftovers?” Yes, you can. Some people will save it for up to 2 months in the fridge, but make sure that where you store it is completely clean or crystals can build up in it. I usually make it as I need it. It’s so easy to make. You can make flavored syrups for coffee with leftovers too. For example, with vanilla, you can add it to coffee or tea. You can make syrup for ice cream or pancakes by adding simple syrup to jam. You can make some caramel or melt it, and add the syrup to make a soft caramel that you can pour over desserts or even coffee. This syrup has many uses. I have even used it to fix a jam that I overcooked were it becomes a bit too hard. Another question people tend to ask: “How much syrup do I add?” You can use a pastry brush to add the syrup to your cake. It will add smaller amounts of syrup and you don’t have to worry about adding too much. Another way to safely add smaller amounts would be to use a spray bottle. If you are trying to make a very moist cake like the Caribbean version, then I suggest a squirt bottle, like the ones Wilton sells for the candy melts. With it, you can add plenty of syrup fast. to give a second coat. since the cake is too soft. don’t layer the cake. The only have one layer of filling in a 4 inch tall cake. Some people don’t like doing it this way because they feel the cake will ferment. an area that has AC. Vanilla cake soaked in vanilla, almond, amaretto simple syrup. Some options for chocolate cake can be dark rum, cherry syrup, Frangelico, Amaretto, Chambord, chocolate liqueur or Kahlua. For butter cakes you can use Amaretto, Grand Marnier, Chambord, Coconut Rum, white chocolate liqueur and so much more! 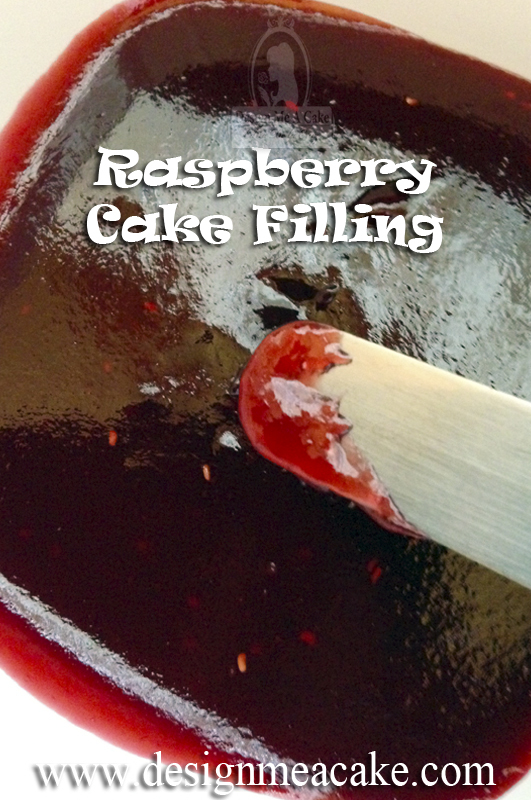 Once again, you can keep the syrup simple or you can add flavors to complement your cake. For those who prefer a Latin style cake, I will do another blog dedicated just to that cake and I will go through how much syrup per cake you can add. In the meantime here is the tutorial. Press here for the link to the recipe. Have fun with the recipe. Until next time, ta ta! This entry was posted in Baking and Cake Decorating, Recipes and tagged advanced cakes, almond, amaretto, Bacardi, baking, beginner cakes, cake basics, cake decorating, cake design, cake recipes, Design Me a Cake, Don Q, Edna De la Cruz, frangelico, Godiva chocolate, Grand Marnier, Khalua, learn to decorate cakes, puertorrican cake, rum, simple syrup, sugar, turtle chocolate, vanilla by Edna De la Cruz Design Me a Cake. Bookmark the permalink. I have approximations for the very moist cakes in cups, but if you are not used to that kind of cake, then is best to start with less. There will be trial an error till you find what you prefer when it comes to how much to add. But only because preferences will vary depending on the person who makes the cakes and the clients. I love Rum cakes, we would make them for the holidays, very moist and very boozy lol. My Mom would make a cake just for the kids minus e booze of course. Nothing like it. i am having a hard time with the rum style cakes and getting the right moisture. One lady told me to pour about 2cups of simple syrup while cake is warm and and then seal right after. This supposedly makes cake really moist but when I did it it make the top very moist but the syrup didn’t spread. Can’t wait to read the post on the Latin style cakes. I do the top of the cake, let it soak for a bit, then do the bottom. Now, what you need to understand is that, for the cake to get the moisture everywhere, you need to let the cake rest. I remember my first cake with rum. I took it to a family gathering the same day I made it. Big mistake. Just like you mentioned, the moisture was only to the top. I learn really fast not to do that again. So remember, to do both sides and then let it rest. My most delicious cake have rested for 2 days. Just make sure you don’t leave it in a warm area.Since you are adding the moisture while the cake is warm, you might want to place them in the fridge after a few hours to avoid fermentation if it’s a hot day. So do you do, this after cakes have cooled after baking then cover with cling and freeze? yes, I let my air cool first and then do it. Seal then with Saran wrap and place them in the fridge. I will use your syrup for my almond cake. Thank you! This is the reason why I am so scared to do videos in spanish! lol There’s such differences between all these spanish countries, I am scared I will end up saying something that might be considered an insult in another country! Hello Edna, first of all thank you for your great tutorials!!….. Can you add Amaretto candy flavor oils to the syrup? Yes you can! I have never tried it with the amaretto oil, since I use the real amaretto. ‘ve researched and tried different cake recipes out, & their texture never seems to come out right. From what I remember, the mojadito cakes are soaked completely through, but soaked evenly, so that the cake is reallyyyy moist but still keeps its airy, spongy texture- & doesn’t become a little mushy and super dense. You are so right. The reason is because not all the cakes have the same texture. Even in PR there is a million recipes for the cake. But you do want a cake that is not to compact if you are trying to achieve the cake from our island. I do have a recipe that I need to post but I need to do a tutorial on how to do it and I haven’t had the chance! Oh & I have a recipe for 3 leches that gives me that amazing texture- where super moist but not mushy- do you think it would work as a mojadito cake? Thanks again!! Well, it’s a bit hard to tell you without seeing the recipe. If you want send it to me to see if it’s close to my recipe. ok thank you!. Should I email it to you? You have FB? You can send it to my messages there if you want! Hi Edna! have you try your crusting buttercream recipe in PR? It comes out or to crumbly and hard very difficult to pipe that is adding less butter, and if I use the 1/2 cup of butter it starts to melt. Help! because im not a fan of traditional puertorrican frosting is too greasy and hard I’m not fan of the flavor either. Hope you can help me. Gracias! Are you using high ratio shortening? I am originally from Puerto Rico and the buttercream most used there is the one where you use vegetable shortening. But the transfats have been taken from crisco and I do recomend using high ratio vegetable shortening. I recommend that you cut the butter completely since it’s so hot in Puerto Rico. Change the butter for the high ratio shortening instead and add butter flavor and almond flavor. Aside from my recommendations, I have done this buttercream in Puerto Rico and it works there so make sure to use a good quality high ratio shortening and good quality ingredients as they can make a huge difference in the outcome. Hi Edna, I asked my cake supplier and they didn’t know. They sell detail “Manteca emulsificada” but it doesn’t have any brand, I suppose that they buy a big batch and put it in plastic containers. They just say one is a better quality than the other. So I don’t know if I’m using high ratio, the only thing I know is that is not crisco. Anyways I’ll keep trying, thanks for your quick response. You are an inspiration for me :). I’m glad that you are showing to the world the great potential that Puerto Rico has. It might be high ratio. I would suggest trying it and see if it works properly! Yes, I do have a recipe. I have to do a tutorial about it. I had a bunch of filmed tutorials I just lost with a bad external drive. Now I have to do them again, but I will plan on it! Hi Adna I love your tutorials .I want to ask you about fondant .I’m a home baker n want to become a famous baker.I tried your white chocolate fondant recipe,it didn’t work out nicely , it was too soft n kept on tearing.Then i tried your marshmallow fondant recipe it also not worked out,can you suggest me something for best results of fondant. Where do you live. Is it a hot area? Do you have AC? I will say that something is going wrong on the way you are doing the recipe or maybe the ingredients. Remember, if the fondant is too soft for your taste, you can keep adding powdered sugar until it comes to the consistency you want. Humidity will affect how much sugar you will need when it comes to making fondant or MMF. So keep adding sugar if it’s too soft. Also, what chocolate did you use? Fondant does have a learning curve and I will suggest to try a few times before giving up on it. Once you learn it becomes really easy. I let the simple syrup cool down some before adding it to the cake. I let it cool down some before i add it to the cake.